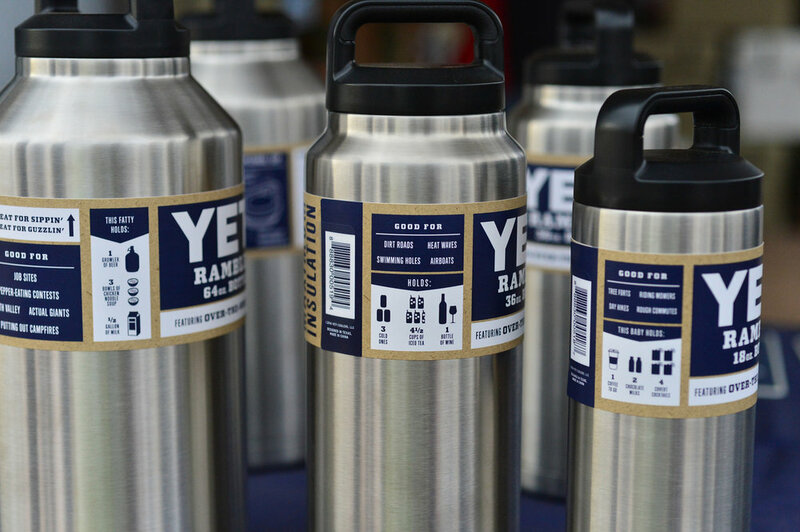 Yeti was at the range day showing off the new Rambler Bottles in 64oz, 36oz and 18oz's. 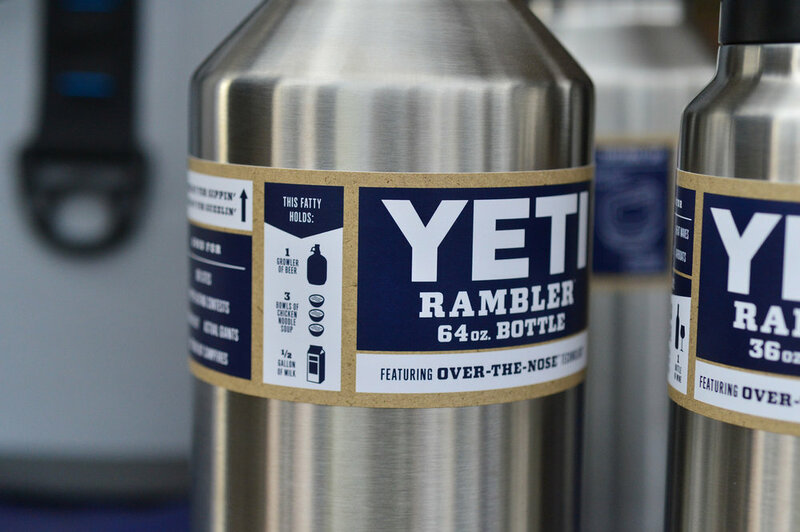 One of the things the rep told us was that Yeti was officially releasing two new lids. Both the slider lid and straw lid should be available to view Tuesday. 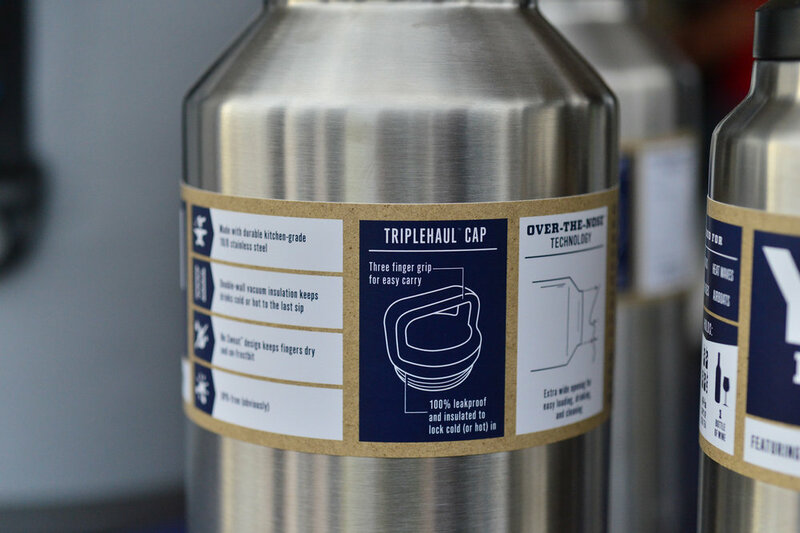 Think of these as updated modern Thermos bottles. Fix It Sticks was a company that original made portable multitools for extreme bicycle riders. 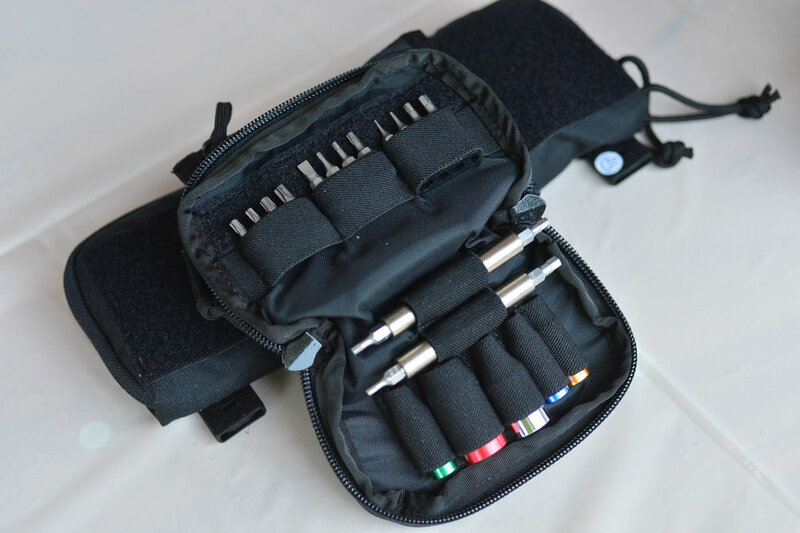 Using their experience in building precision tools they have developed several kits for the firearms industry. 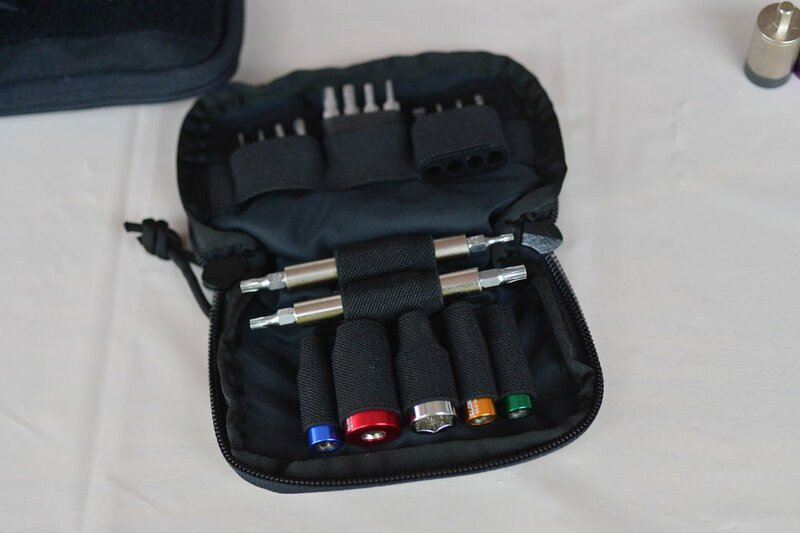 These torque limiting tools are already available at brownells. At the Otis booth they were showing off a new cleaning tool and cleaning kit. 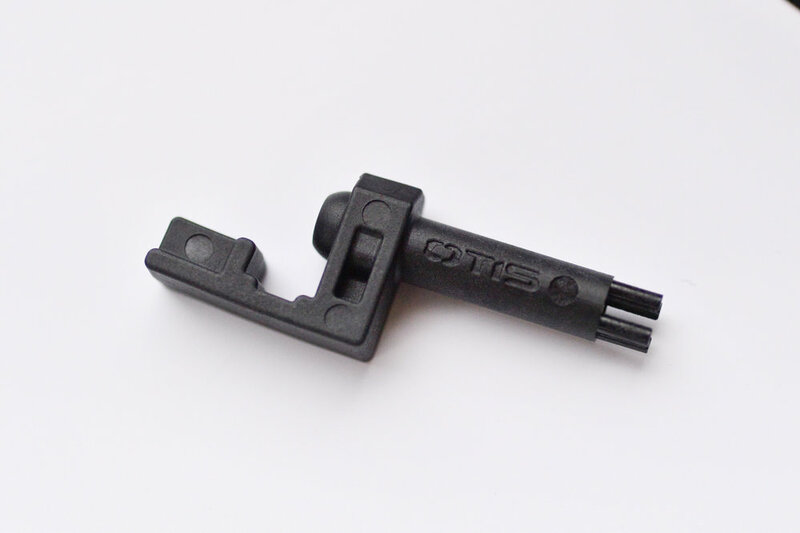 This little black piece of polymer is made to clean that annoying area in the AR-15 upper receiver under the gas tube. 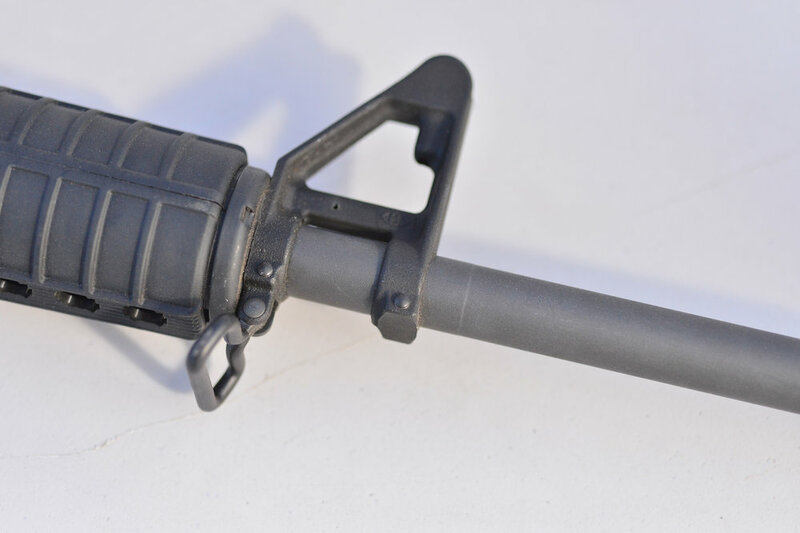 You remove the bolt and the charging handle. 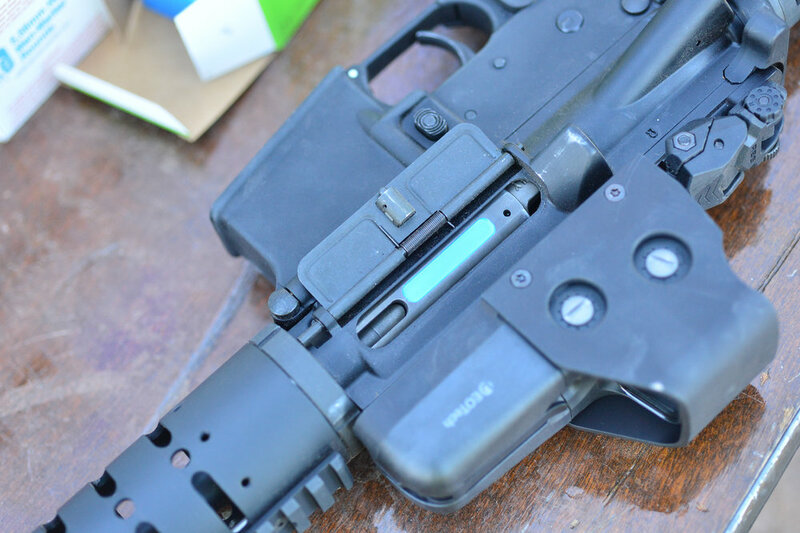 Then attach the tool to the end of the charging handle and slide the assembly all the way forward. The tool then slides over the gas tube scraping all of the nasties out of the upper. 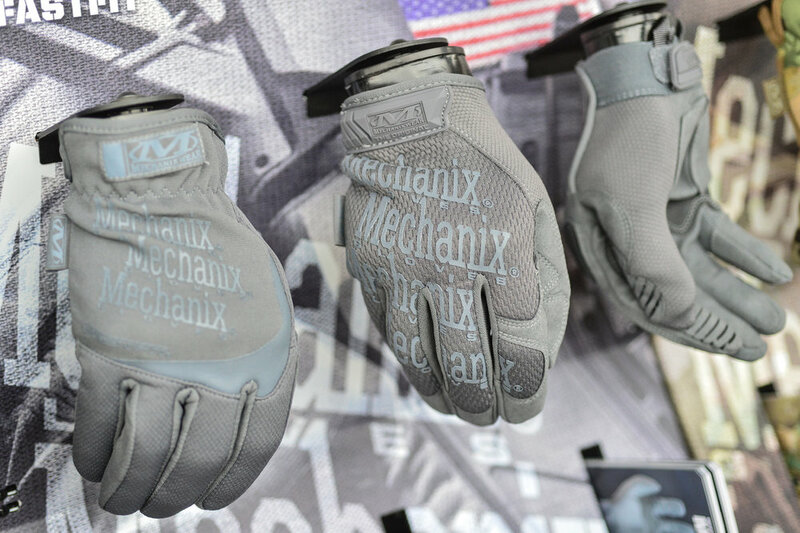 Mechanix Gloves introduced a new Wolf Grey series of gloves. And then rereleased the camo versions in a name brand pattern instead of the older generic pattern. 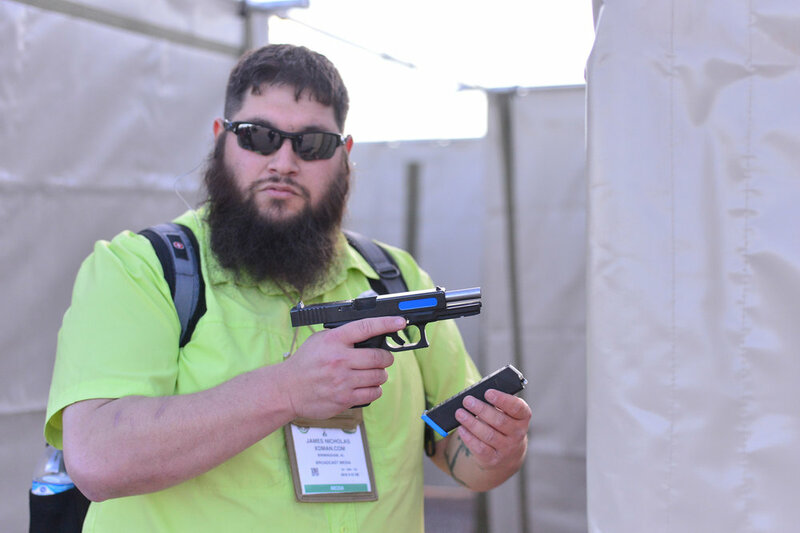 Standard Manufacturing Company has their DP-12 double barrel shotgun available to shoot. This shotgun can hold up to 16 rounds of pure 12ga power. It is a pump shotgun and with each pump both barrels load. When you pull the trigger one barrel fires (no need to pump) then you pull the trigger for the second barrel to fire. 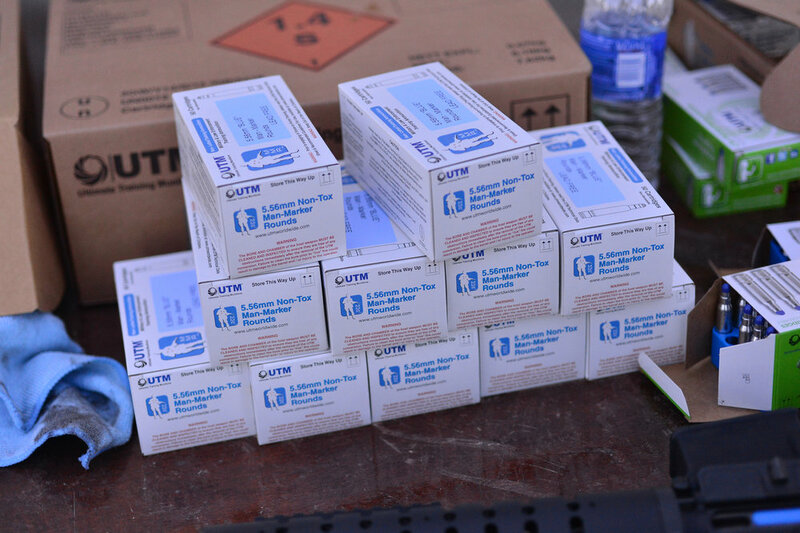 Now you pump to load two new fresh rounds. This shotgun was extremely fast for 12ga double taps. 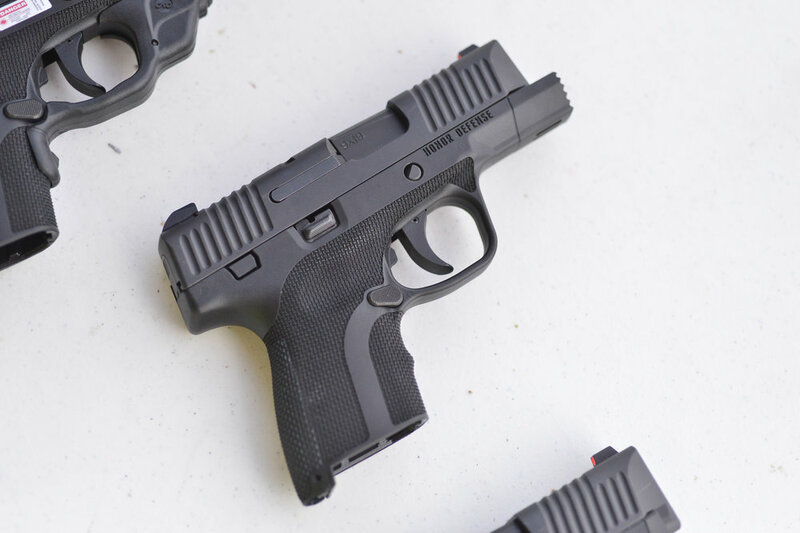 Honor Defense is a first time exhibitor and one of the newest firearms manufactures in the country. They are based out of Ga and their pistol is completely 100% manufactured in the US. I was told not one part was outsourced out of the county....How about that! 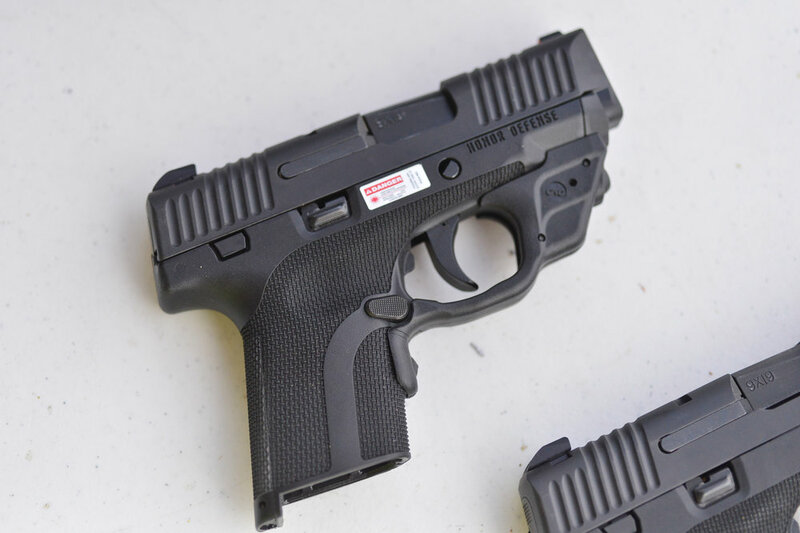 The compact pistol comes in two different versions, one were the frame sticks out passed the slide and barrel as a stand off feature. You can push the pistol into a target and the slide will not come out of battery. 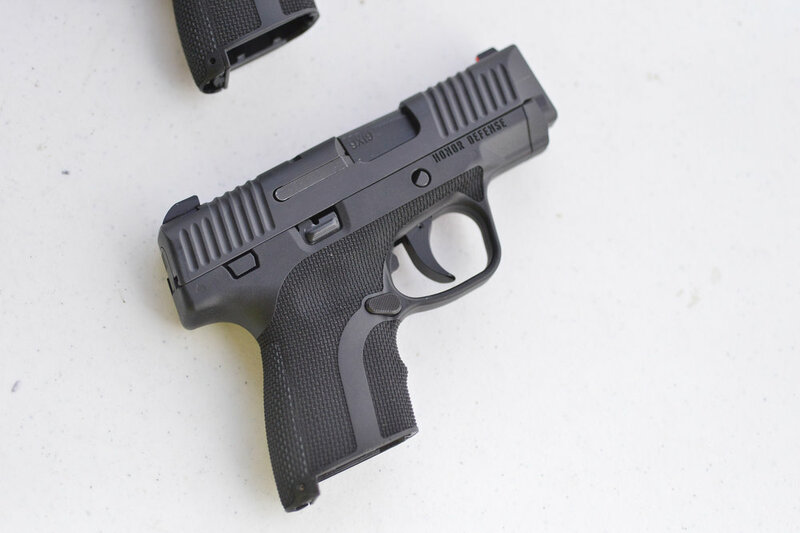 My first impression of this pistol is favorable. 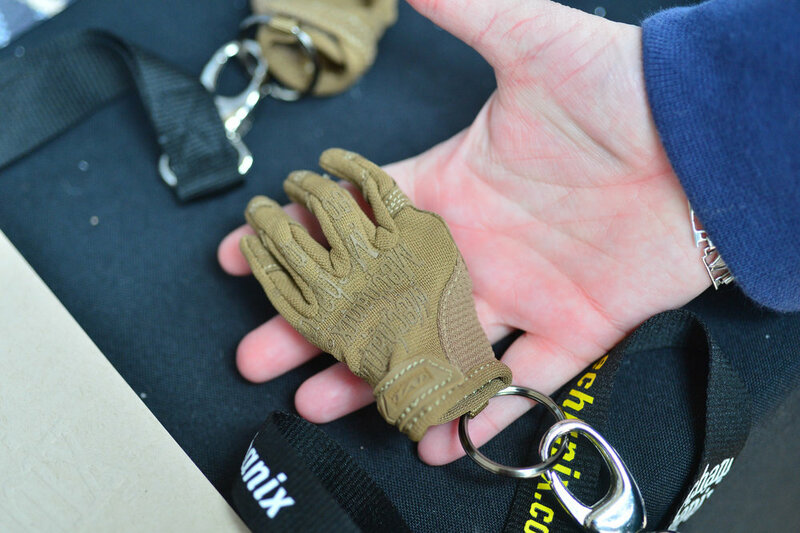 The fit and finish was great, the texturing and ergonomics were top notch and on top of that it shoots great. A big surprise awaited me at the Colt bench. Affordable and Colt are two things that are never used in the same sentence, but Colt is going to go after the budget AR market. This "M4" will retail for 699..........street price should be lower.....wow. So lets start at the upper, it does not come with a dust cover. But wait yes Colt left on the dust cover mounting points so the user can then upgrade later. There is no forward assist, and it is covered with a polymer cover. And yes it is meant to be easily upgraded at a latter time if the customer chooses to do so. 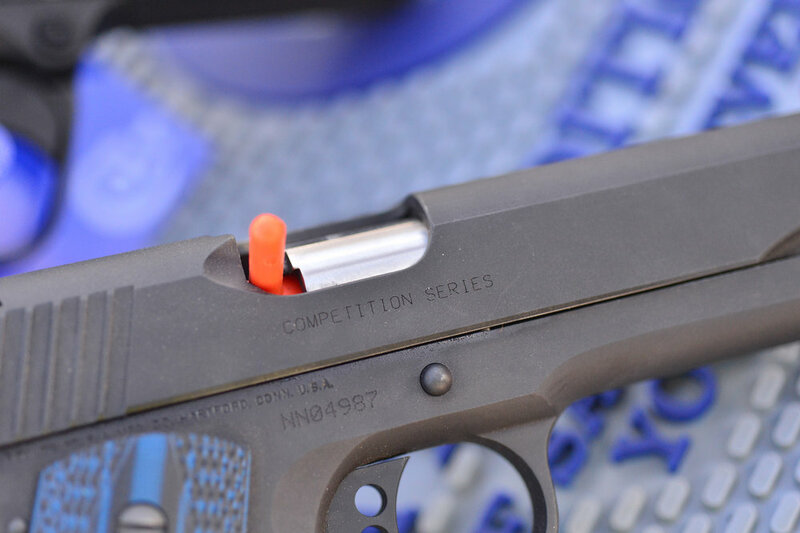 On the 1911 side Colt showed off the new Competition series 1911's with an adjustable rear sight and fiber optic front. 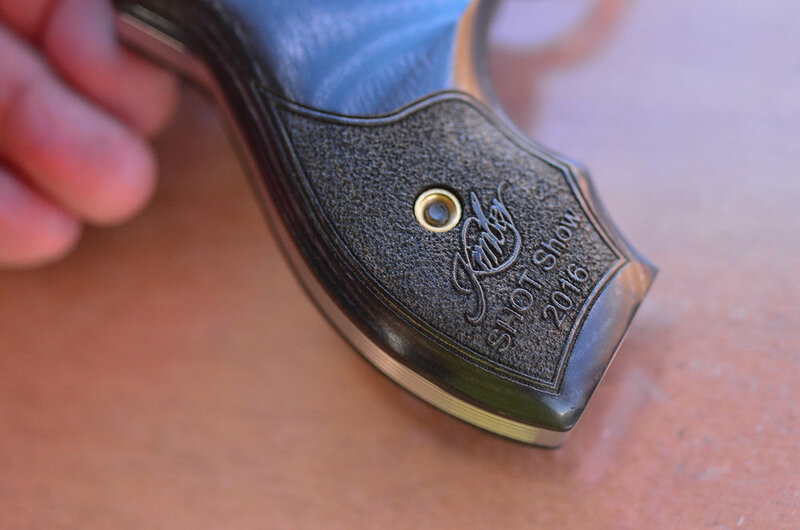 Kimber has several of their new revolvers available to shoot. 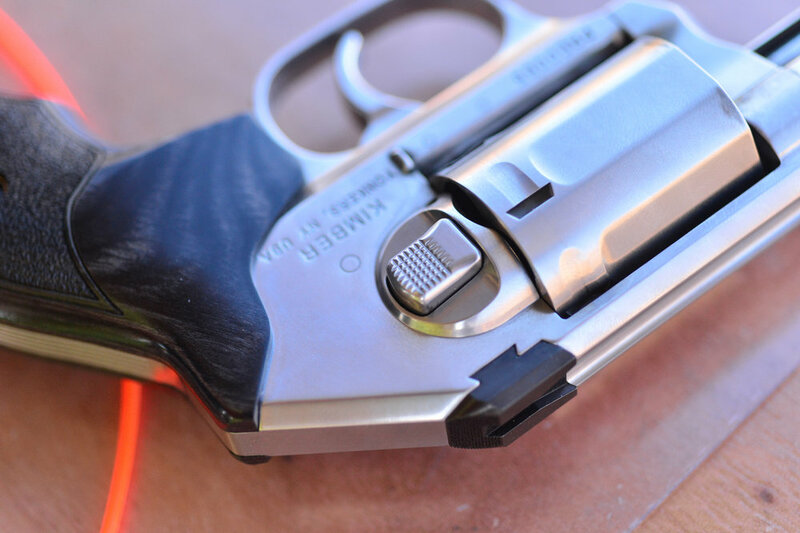 This revolver will retail at 899.00 and is mostly a J-Frame size equivalent revolver. 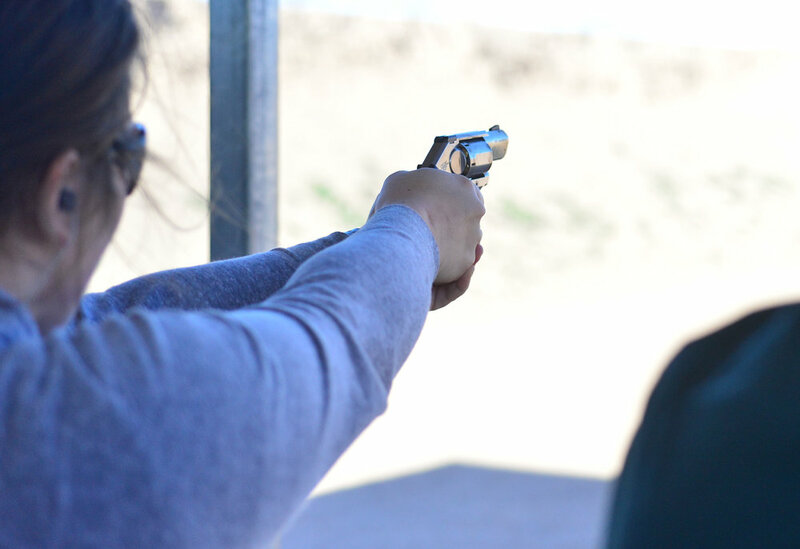 The pistol is completely stainless steel and the example we had to shoot were 357mag. A couple of things to note: The front sight is pined in place and easily replaced. 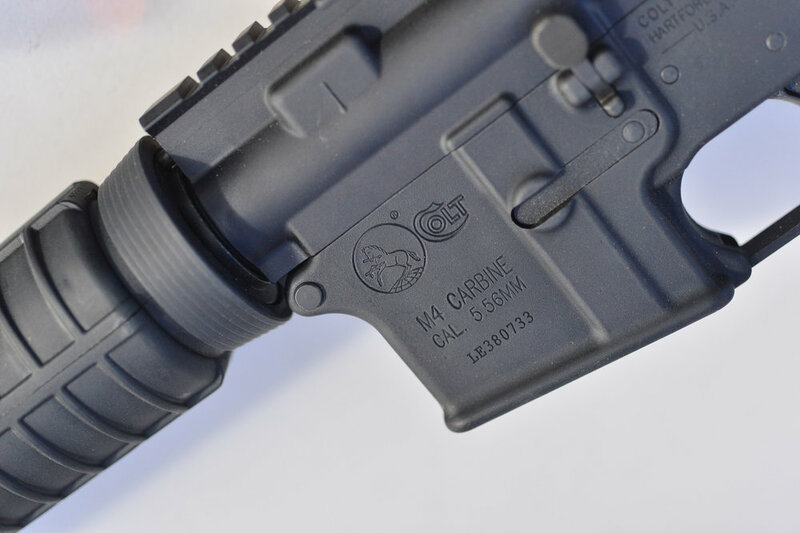 And the rear sight has a dovetail....when was the last time you saw that. To use the cylinder release you push it in and was really easy to use. The trigger was nice and smooth. I was told that these will come from the factory to seem like they had been tuned. One disappointment is that they will come with rubber grips not the nice wooden ones. UTM was showing off their civilian man marker rounds. 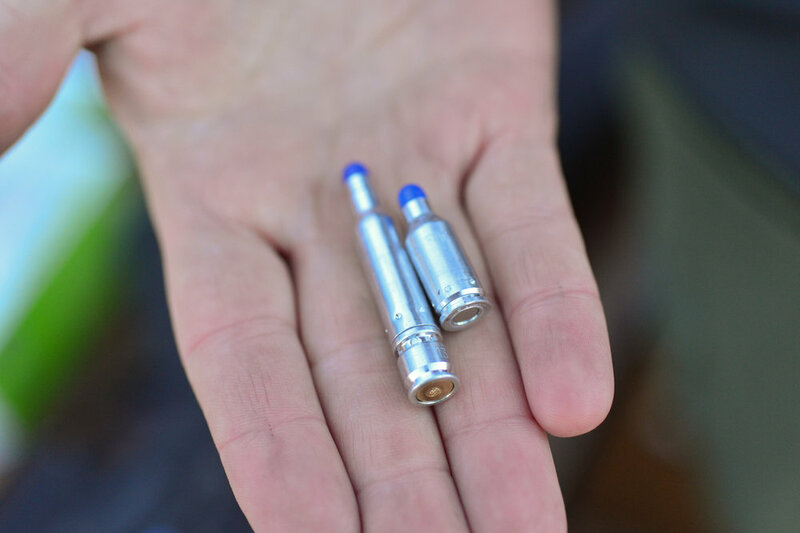 These rounds allow you to practice with your weapon without a range just by changing out your AR bolt or your pistol slide.